Fashionable Custom Cases and Bags: Bebops saw this and thought of you! Bebops saw this and thought of you! 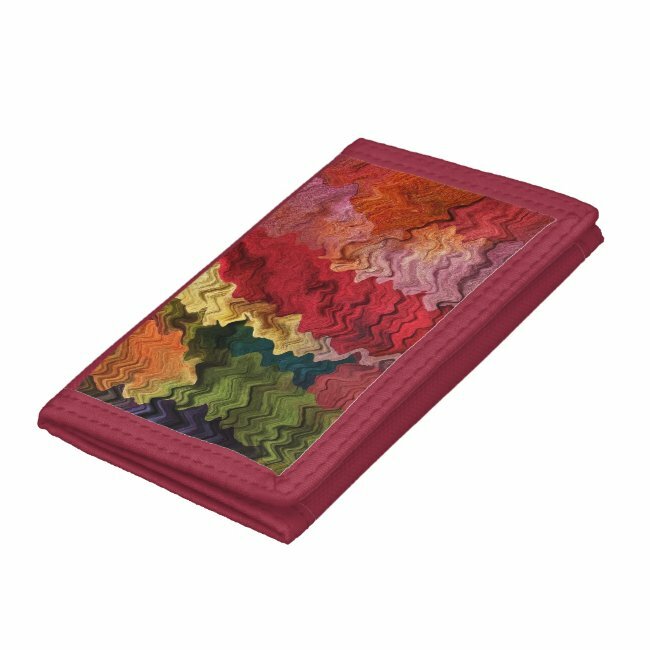 This colorful fine art wallet features an image of a contemporary abstract fabric pattern in wavy psychedelic rainbow colors of pink, red, yellow, orange, green, blue, brown, mauve, purple and turquoise which resembles a painter's palette. Artwork designed by Bebop's Place. Made by Photo USA in Fremont, CA. Sold by Zazzle. NauticalBoutique.Co saw this and thought of you! ValeriesGallery saw this and thought of you!